IMO pomegranate is a Frequent MUST for anyone interested in living to a healthy old age. "One way pomegranate protects against cancer, atherosclerosis, type 2 diabetes and other disorders is by inducing beneficial alterations in gene expression. Pomegranate extracts work at every step in the deadly atherosclerotic cascade to prevent or reverse the damage thereby extending life." Life Extension, Note we have recently found the genes we were born with are NOT the genes we live with. "Pomegranate intake may be a viable strategy for the natural chemoprevention of breast cancer." Pomegranate Extract May Lower Breast Cancer Risk." Pomegranate is an antioxidant fruit rich in nutritious benefits. Pomegranate provides MANY benefits to MANY of your systems. Pomegranate has been known since the time of Christ and before as an extremely salubrious fruit and is mentioned in the bible. pomegranate has been shown to be a powerful chelator of free iron in the human body. We all need this function; even premenopausal women. Be sure to get a juice low or absent in sugar. I use a pure extract equivalent to eight ounces of juice. Eight ounces of 100% juice per day is said to reverse many cardiovascular and other problems. Modern research confirms Pomegranate has mild estrogenic activity and may help with breast cancer including anti-mastitis and prostrate cancer. Pomegranate may help strengthen and firm up your skin. One powerful way pomegranate keeps your heart going is to promote nitric oxide flow in your body. One of the many mechanisms pomegranate employs is to increase the endothelial nitric oxide production. IMO the endothelial function is a body part we should pay attention to and work to improve. Much of cardiovascular health is dependent on good endothelial function. The first event in the CVD cascade is often a failure of the endothelium. No drug can match the CVD disease reduction that results from this combination of improved endothelial function and reduced LDL oxidation. IMO pomegranate is a MUST for anyone interested in living to a healthy old age. Reduction of the oxidation of your LDL packets is one of the MAJOR preventative actions we can take to help PREVENT CVD. "Pomegranate is mega-healthy. Every bit of it. The seeds, pulp, skin, root, flower - even the bark from the pomegranate tree. ..." "The Healing Spices" Note I eat all of the bitter white and as much of the red skin as I can. Anti-Infective: Plaque buildup in the arteries often involves secondary viral and bacterial infection, including hepatitis C and Chlamydia pneumoniae. [vii] Pomegranate has a broad range of anti-bacterial and anti-viral properties. "Pomegranate is mega-healthy. Every bit of it. The seeds, pulp, skin, root, flower - even the bark from the pomegranate tree. ..." Healing Spices Note I eat all of the bitter white and as much of the red skin as I can. Medical researchers are interested in Pomegranate and several concentrated non-drug products may result. This is very good news. In the meantime we can enjoy this healthful fruit. 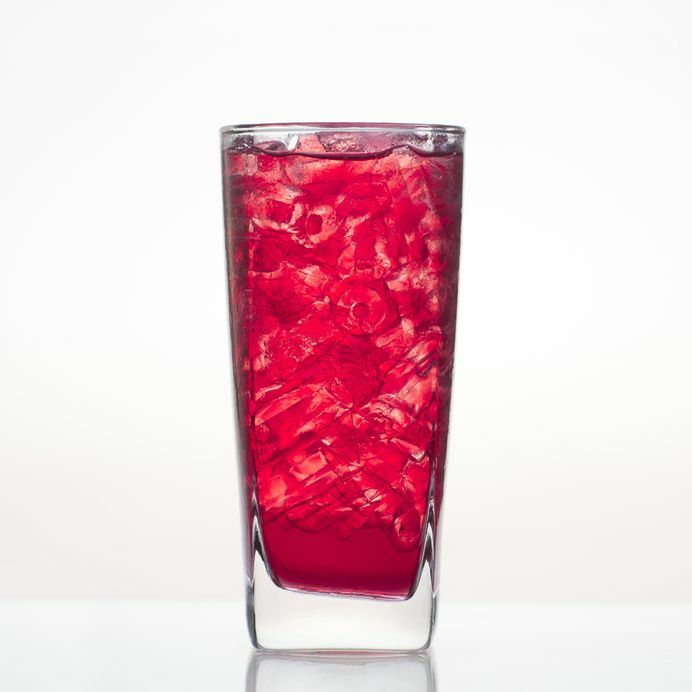 Eight ounces of Pomegranate juice is often used in clinical trials. I eat most of the bitter white flesh surrounding and underneath the seeds. A lifetime of eating similar fruit flesh together with the often bitter flavonoid rich rind tells me it is salubrious.